Who needs to visit a haunted house when you have real-life creepy crawlies lurking in the shadows of your home? Unlike ghost and goblin decor though; rats, bats and bugs are looking for a safe-haven from the upcoming seasons and will happily hang around long after October 31 has been marked off your calendar. So homeowners, take our advice, and follow these tips to stop pests from causing unwanted scares. Pay attention when unpacking decorations. As you climb into storage to pull out boxes of store-bought spider webs and plastic rats and roaches; be looking for signs of holes or droppings from real ones. These warmth-seekers love to lurk in improperly sealed containers, and if they can’t get in those, they’ll gnaw their way straight through your cardboard ones! Once Halloween is over, pack up your decor in a plastic box with a sealed lid. This will keep ghoulish insects from making out-of-season decorations their new home. Did you know that mice can squeeze themselves into your home through a hole as small as a dime? *Cents* these are one of the most persistent fall freeloaders, it’s going to take more than plastic skeletons or scary costumes to keep them out. Make sure to seal cracks around your home, caulking around pipes and wiring and weather-stripping around doors and windows. Don’t waste your trick-or-treat candy. Sugary sweet candies passed out on Halloween night aren’t just appealing to your kiddo (or you. Ants, cockroaches and flies have a sweet tooth too! If you’re looking for an excuse to finish off that bucket of trick-or-treat candy, here’s your chance– eat your candy early on or store leftovers away in an air-tight container for safety. Store your firewood away from your home. As temperatures continue to drop by the hour, it may be tempting to store your firewood close to your home to keep time outdoors to a minimum. Don’t give in! Keeping your wood a few extra steps away will help protect your home from hungry termites and spooky spiders tucked away in the firewood. Avoid carving pumpkins too early. Carving pumpkins is a classic Halloween tradition, and while we encourage you to participate in that if you want to, it’s also important to remember that pumpkins are living plants. That means that, once they’re cut open, they decay quickly! To avoid a bug, fruit fly or rat scare more nightmarish than any seasonal movie, try to wait until right before Halloween to create your jack-o-lantern. 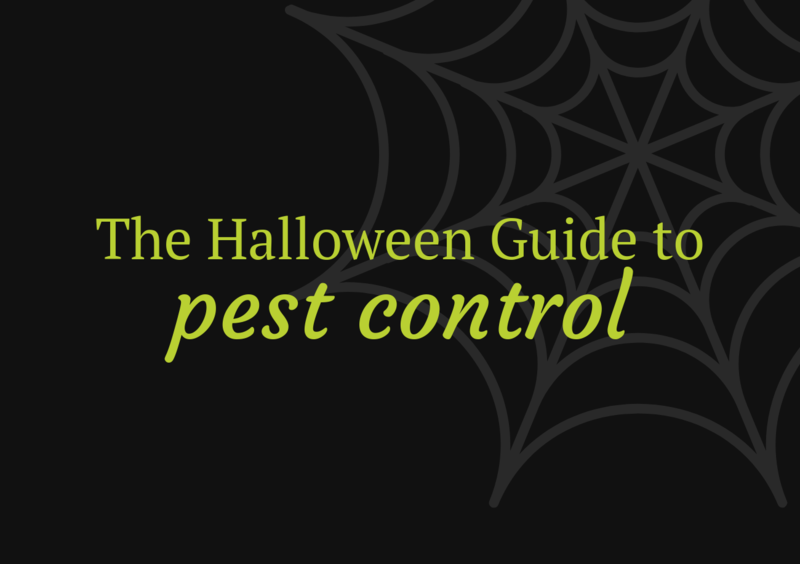 If trick-or-treaters aren’t the only ones knocking on your door this October 31, contact Command Pest Control. From rodents to roaches, our pest control estimates are completely free, and your first application will only be $29.95. Those aren’t tricks– just treats!